Today was my first outing for wedding dress shopping. My friend Kim and I went and I tried on several dresses. 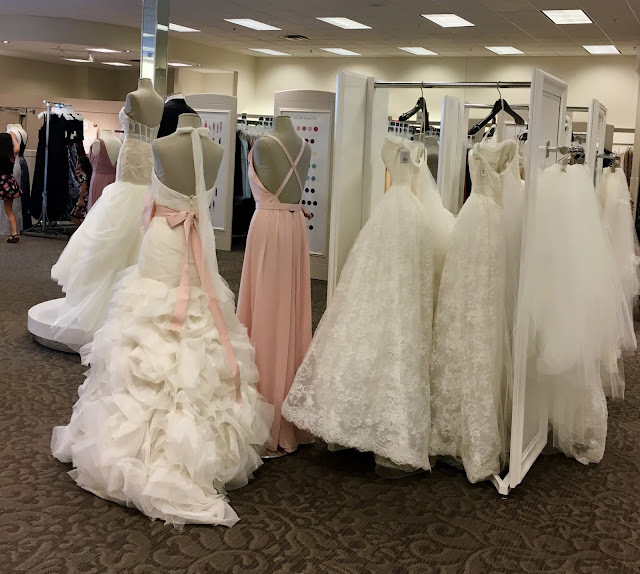 Being a plus-sized bride presents a bit of a challenge when it comes to styles, but I tried on several dresses to see which style I liked best. I wasn't expecting to feel so pretty in them, but they really do have an ability to transform. I don't know how many dresses I'll have to try on before I find the one I love, but I think I'm going to have a great time doing it.